When you gonna break? Watching every move you make And everything you do, Evil eyes'll be on you. Don't give in, don't come any closer, No sir! Keep running, coming in closer, Closer. What you gonna do? Time is running out on you. Anywhere you choose, Anyway, you're gonna lose. As I can understand the text of this song is connecting with some "hunting-hiding" things - someone is searching and someone is hiding. But there is "don't give in" - i.e. "don't cease to dampen on me". Can you exlain me what thought is expressed in this song by "don't give in"? "Don't give in" does not mean to "don't dampen on". It means do not cease to do something something or to put it another way continue to do what you are doing. In the case of this song the person is in metaphorical danger from those that would do them harm. In order to avoid the harm that others would do to them they should remain alert to danger at all time. I say metaphorical danger the song is about the press trying to find scandals that could bring problems to a rock stars career. I don't quite understand how dampen comes into the definition at all. Somehow I did not notice that one Ozok. Am also puzzled by the 'dampen' thing? How would you 'dampen' someone...with a spray bottle? Why would you 'dampen' someone? I don't think I've ever come across the word 'dampen' ever used as something one person can do to another! I think the confusion over dampen is from the meaning of damping as resisting motion and reducing vibration. 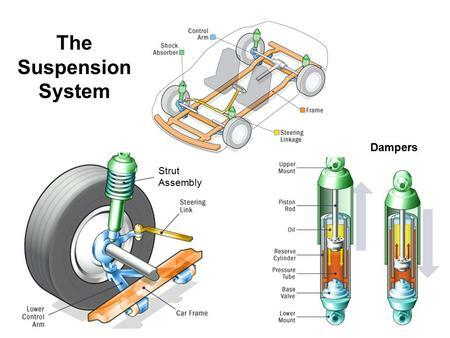 That is what a damper does - it resists movement, or dampens it. I may be wrong, but that is the only way I can connect 'dampen' with standing strong, not giving in. So to resist, or defend, is the opposite of giving in. mcurrent - you have the incorrect or usage of dampen, here. Firstly, it usually means to make something damp, slightly wet. You dampen a cloth when you want to clean something. Or as Rom say, spray them with water. If you feel that way inclined! In a specific field of springs, pistons and vibrating strings, then to dampen means to lessen movement or resist force. But you can't use the word more generally in other contexts. It only applies to those specific pieces of engineering equipment and metaphors where you are doing something that reduces movement or vibration. Damping is a reduction in vibration over a period of time. 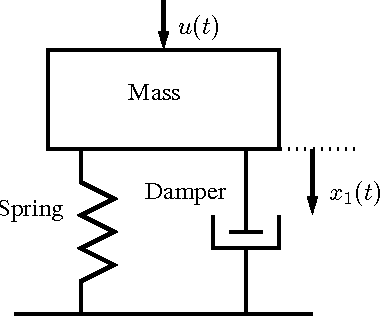 Damping will eventually bring a vibrating object to rest. Ignore this if I am wrong. If that s the case, I have no more idea of how 'dampen' comes into this than you folks do! Go on, don't come any closer. I can understand that lyric sometimes makes mess, if it was not mess can you write in the reply the meaning of this "don't give in"? Thar that's a good explaination thanks it clears up my confusion. Rom why would anyone want to dampen someone else, well some people with special intrests can have it done in Russia allegedly. In this context "Don't give in" does not just mean go on, in means go on with what you were doing previously in the lyrics, searching for those that were trying to fire poison arrows into them. The lyrics of the song are not completely grammatical, we have to interpret the meaning of the songwriter.